Poor posture makes your body work harder than it has to and predisposes it to injury. Optimal spinal, pelvic, shoulder, hip position enables your body to generate force more efficiently and safely that improves performance in work, sporting or recreational activities. Many people have poor postural habits that develop from a young age. This causes joints, muscles and ligaments to tighten up, and restrict movement. Even though this posture is poor is can often “feel” right. Obtaining correct postural alignment can often feel difficult unnatural, but once your obtain correct posture your body learns to use this. 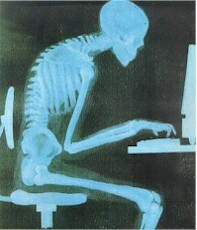 To change your posture you have to dedicate a lot of time to break your old habbit. Even though the exrcise itself is very easy, the hardest bit is remembering to do it! If you are struggling to chage your posture you may need a posture brace or change your chair. 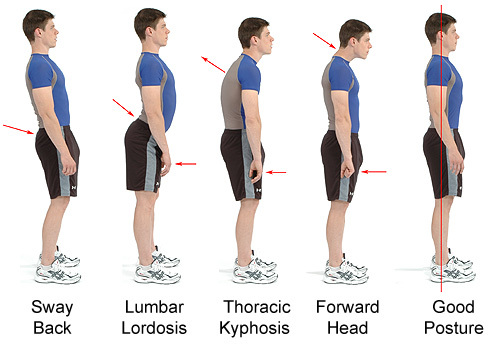 You and your body learn what Good Posture is so it becomes second nature. Postural Taping or Bracing is used to encourage good posture when your memory isn’t strong enough to change your posture. It is simple, easy, effective and very specific for you. Have a good ergonomic chair. Shoulders back and chin tucked in a little. The principles when laying are the same for any other position. Maintaining Alignment and Support is paramount. Try and keep a straight back, the legs and arms can move depending on where you find them most comfortable. This means try not to go into the foetal position, have a twisted or bowed spine. A good matress is important. A good matress has a firm base to provide good support and a soft topper to provide comfort and some moulding to the bumps of the body ie. hips and shoulders. Sleeping is very habitual and like other postures takes time to change and should be done gradually to avoid over-stressing your body. 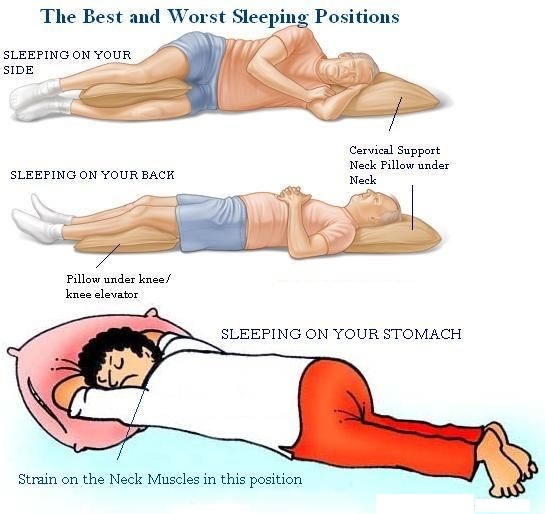 The three main positions for laying are on your back, front or side. Laying on your front requires a very thin pillow or no pillow and a very flexible neck in rotation. Most people do nothave this flexibility so it is not recommended. Pillows may also be used under (laying on back) or between (laying on side) knees for comfor.